But don't wait, registration closes this Friday, Nov. 8th! Five days of intense instruction. Two in the field and three in the SAS studio. 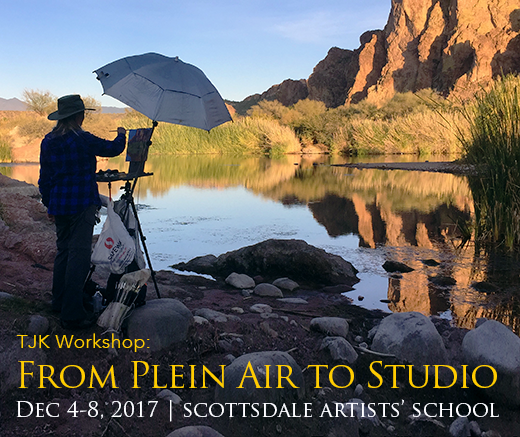 If you live in the Phoenix/Scottsdale area, or if you are able to travel at a moment's notice, and would like to take a terrific in-depth, five day indoor/outdoor class with me, you still can. 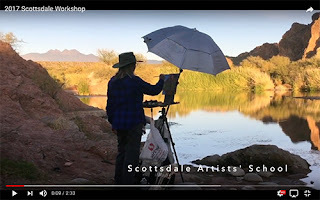 So this winter, when it is cold and wet, you can pack your paints and come down to the Southwest where you can learn how to go from small to BIG with your paintings! 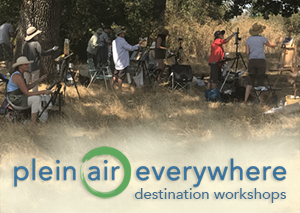 This popular five day outdoor/indoor class will focus on how to collect useful information in the field – by painting, sketching, and taking photographs in the field – and then how to use those references to produce larger works in the comfort of your studio. We will start by spending two days in the Tonto Forest. 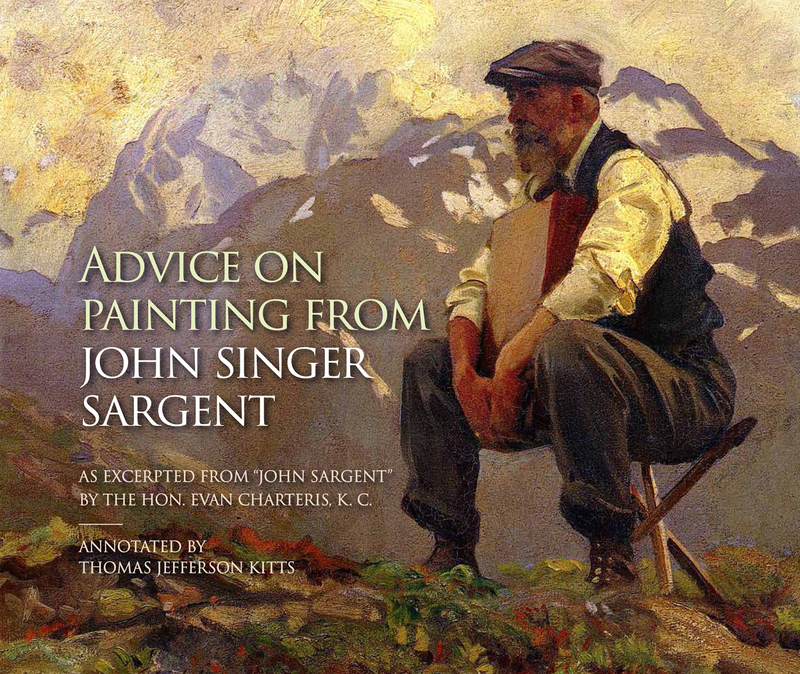 I will then spend one day at the SAS creating a large painting, demonstrating various techniques and answering your questions. Then, you will have two days to complete a large painting yourself in the SAS studio with personal assistance!